I discovered homeopathy long before I had my own children. I remember looking forward to my monthly appointment with my homeopath where I was always able to take the time to discuss whatever little detail was prevalent in my life. At the end of the session I would get my prescription which would always be such a comfort and a real source of interest to me. My interest was piqued so much that I decided to study homeopathy myself. I enrolled on a four-year course to become a homeopathic practitioner and wow, what a lot to learn! Philosophy, anatomy & physiology, case taking, ethics and the specific details of hundreds of homeopathic remedies. Then at the start of my fourth and final year I found out I was pregnant with twins, very exciting but I had to stop my studies mid-year and focus on the babies. Planning the perfect birth was the focus of the next couple of months and along with my hospital bag was a range of homeopathic remedies. These were well studied remedies that I might need in the birthing room and a list for my partner of how and when to give them to me. At the start of the birth I manged to take aconite before my emergency C-section and then came the vitamin K injections, which I stated in my birth plan that didn’t want. I was so weak after the birth and confused by the arguments from the doctors that I agreed to them. Then the babies and I were given intravenous antibiotics to fight a potential infection. The nature of my homeopathic consultations had changed now that I had a family. There was no time to sit and discuss the ins and outs of every little thing with my homeopath anymore, now there were three of us in the room and not a lot of time to talk. Now the priority was almost always acute conditions like ear infections, fevers, conjunctivitis, noro-virus and mastitis! Homeopathy now seemed to be about acute prescribing and not so much about the deeper parts of life. I always tried to use homeopathy for the acute but sometimes I lost the battle and the antibiotics came out again. When it came to the discussions around vaccinations I was staunchly against them and I managed to avoid them until the kids were about 2. The pressure from my partner and family eventually overcame and a plan to vaccinate was in place. I delayed the visits to the doctors as much as I could, using the excuse of colds and other issues but the day came when both of my children had their first, a tetanus vaccination and weeks later a follow up jab. Initially it seemed like we had got away without any side effects and phew, all was well I had been worrying unnecessarily. Still I made up excuses to avoid the doctors’ visits and my children didn’t get any more vaccinations as we were about to emigrate to Sydney from London and there wasn’t time. On arrival in Sydney after three months travelling around Thailand life had become stressful, there were jobs to be found, houses to rent and getting set up in a new country was quite time-consuming. In addition, other things had started to become stressful, my son hadn’t started to talk yet which we thought was unusual and if anything, his language was starting to go backwards! He started to become a fussy eater and had become very focused on one thing, like lining up his books but not reading them. He struggled to play with other kids in the playgrounds and just wasn’t himself. My children had always been fond of homeopathy, innocently they called it the “special medicine”. They always enjoyed taking their little pills and my daughter used to love looking through the vials of remedies that I had collected throughout my studies. It wasn’t long after they reached age 3 that homeopathy really came into its own for my family. Almost exactly on their third birthday my son became suddenly and alarmingly unwell. It just happened, he started slouching, lost his balance and seemed to be mentally suffering in some unknown way. His behavior had drastically changed and my cheeky smiley loving little boy was replaced with a screaming, shouting boy riddled with anxieties. What was wrong with him and why, it was a terrible time! I thought he might have a brain tumor and after a severe screaming and crying breakdown on the beach after going into the ocean we ended up going to the emergency department at the children’s hospital. What happened next was very shocking for me, we were told that there was nothing physically wrong with him and that we should get him checked out by a specialist and the word autism was used for the first time. I went down every avenue to find out what was wrong, our GP referred us a specialist but the waiting list was six months but nobody could help us or tell us what to do. Everywhere I went I just kept getting the same answers, your son is most likely on the autistic spectrum and will need to be diagnosed. Nobody could answer the question of why this had happened and what could we do to get our boy back! Then I found Linda, a homeopath that specialised in these kinds of issues with children. A person that could listen to me, a neurotic desperate mother, and she had answers! 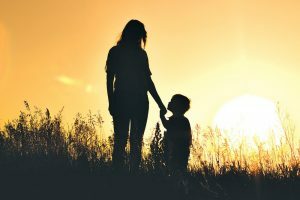 We spent a long time discussing my son’s history and she came up with a plan to help him, I have now found out that her treatment was based on CEASE therapy. Not only did Linda work on helping my son, she helped me and my daughter to come to terms with what was happening and to deal with the emotions that came up for us. We sent a hair sample off to a toxicity lab and found that my son had very high levels of copper, and unsafe levels of mercury and arsenic! You can imagine my surprise, “mercury and arsenic, where did these come from? !” I found out that these heavy metals accumulate in the brain and are believed to be one of the causes of the physical and behavioural changes that we were observing. The process to remove these contaminants was slow and at times unpleasant, it involved taking vitamins and minerals alongside various homeopathic remedies. We found out that copper was the easiest one to eliminate and that studies had shown that high levels of this mineral had been linked to developmental delays in children. A few months later we started to notice some positive changes and then after a break we started work on the mercury and arsenic. The side effects from detoxing these was much harder for my son, he was angry, aggressive and exhausted for over a month but we came through the other side and saw more positive results. Next, we detoxed the vaccine as best we could with more homeopathy. Previous to these detox’s it was hard for my son to go outside the house, he struggled with the world outside his home where I assume he felt safe and outside the house was disorder and chaos. In the necessary times that we had to go out he would put his hands over his ears and depending on the day he would scream and refuse to walk. The results of the homeopathy were very noticeable, the good days had started to outnumber the bad ones and my son seemed to be more at peace with himself. Eventually the dreaded day for the diagnosis came, the doctor did a multitude of tests with a box of toys and swiftly diagnosed my son with Autistic Spectrum Disorder (ASD). I asked a lot of questions and the answers I got were, “we don’t know.” I was told that that my son’s balance problems were because his vestibular system was undeveloped due his condition (ASD), they refused to acknowledge that only months before was he whizzing round the parks on his scooter. I was made to feel like a crazy person especially when I asked about the onset of his condition and the word vaccination earned me a stern telling off from the doctor. I was told that there was no evidence that alternative therapies worked and that I needed to accept my son’s condition for his sake! My son was sent to see occupational therapists, speech therapists and behavioral therapists. We carried on with both methodologies of therapy for about six months, the conventional and the ‘alternative’. The conventional therapies mainly involved attempting to mould my son into ‘normal’ 3-year-old boy for example, he wasn’t allowed to point with his little finger but was made to use his index finger. All his individuality seemed to be ‘a problem’ which needed to be fixed. I was told that it would be unlikely that my son would be able to join a mainstream school and that I should try to get used to this and accept it. Of course, I didn’t accept it, I knew that he was still in there and every now and again he would come out to say hello but would always go back inside his shell. I knew that if I could still see him in there then all was not lost and we would just keep working thought it. Three years on and my son has good vocabulary, he is in mainstream school and is a happy boy. He officially needs no more speech therapy and does not require any occupational or behavioural therapy. He does have extra help at school because his brain processes differently to other kids his age, it’s a comfort to know he has extra help but I’m confident that he would cope without it if he needed to. He is different than most boys his age but those differences are seen as his strengths now and not weaknesses that need to be fixed. He doesn’t have play dates very often but he seems to be fine with that, he likes other children but he also really likes his own time. He excels at maths and enjoys reading, yes, he might not be able to articulate every plot in the book but that doesn’t mean that he isn’t able to think about it. Each year he grows in his abilities and his life is absolutely nothing like the doctor’s bleak prognosis. Finally, I am studying for my homeopathic practitioner qualification and I am now back in my final year and only months away from qualifying. With all I have learned from my son and his amazing homeopath Linda, I can’t wait to meet other little boys and girls who like my son might be struggling to find their feet in a chaotic world. Even more than this I can’t wait to listen to the neurotic desperate mothers who are looking for answers and who refuse to believe their children have gone away for good.